We stock in excess of 100 combinations of marquees, including peg and pole, freestanding and high peaked options that can be modified to suit your personal requirements and budget. 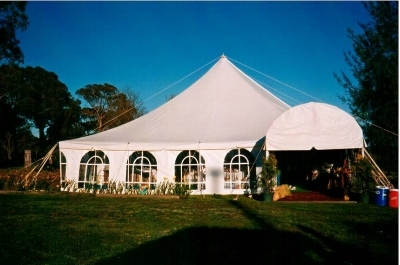 Our marquees range from smaller marquee’s perfect for the backyard wedding or party to our large marquees that can seat up to 600 people. 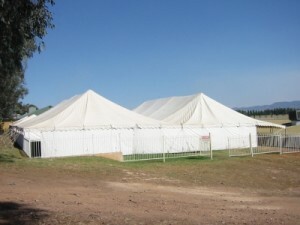 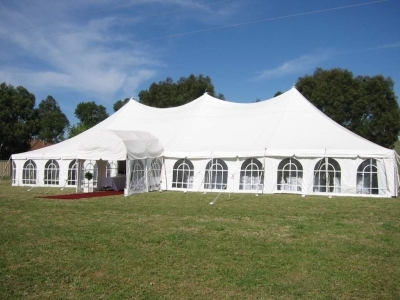 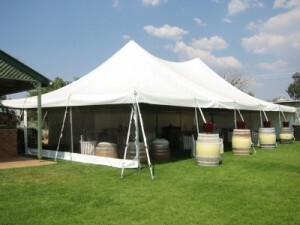 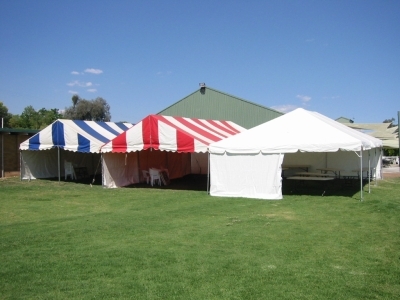 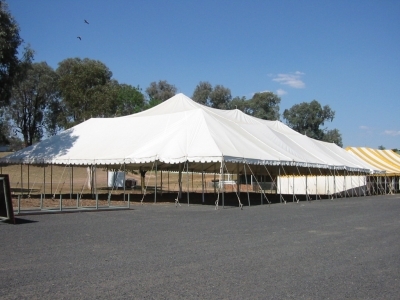 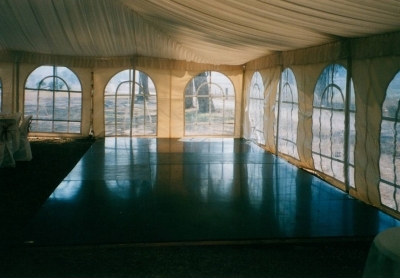 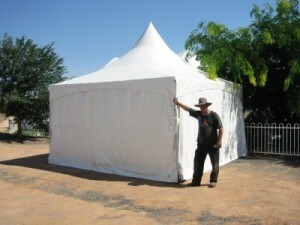 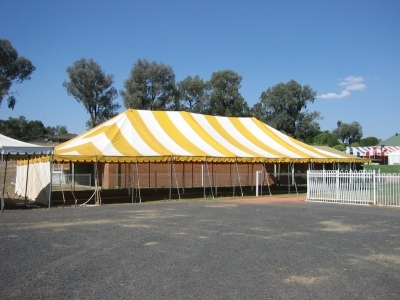 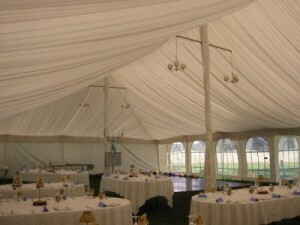 We also keep in stock older style marquees suitable for field days, etc. 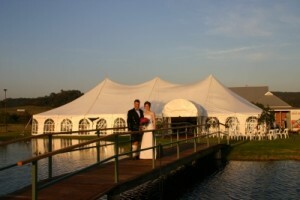 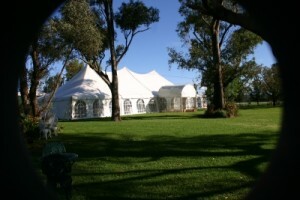 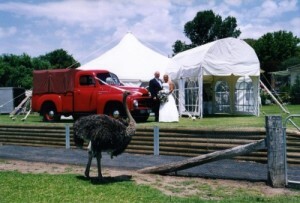 All our wedding marquees are optional fully silk lined or plain. 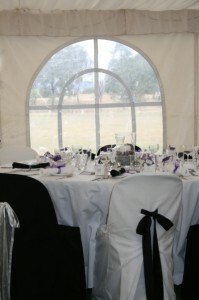 Arched entry supplied free of charge for package deals, are also silk lined. 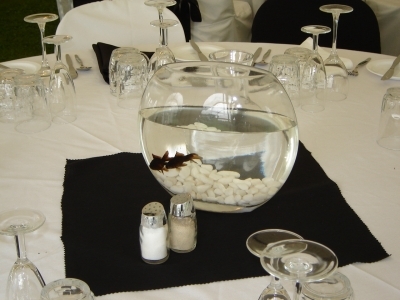 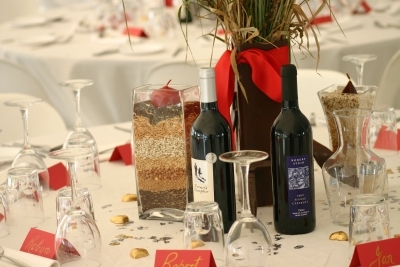 A package deal, as defined by us, includes ALL the following: marquee(s) hire, all other hire as well as catering supplied by us. 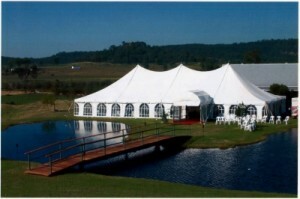 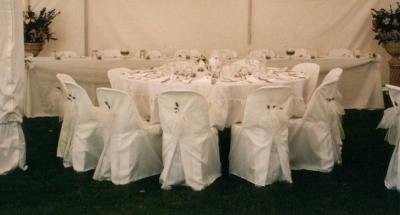 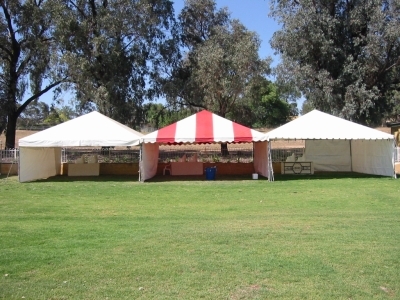 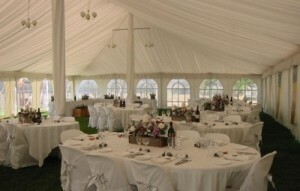 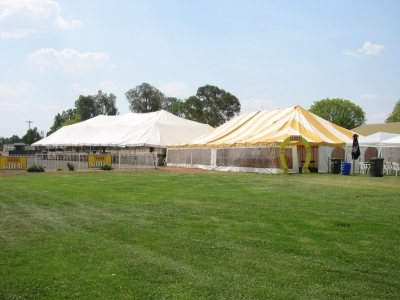 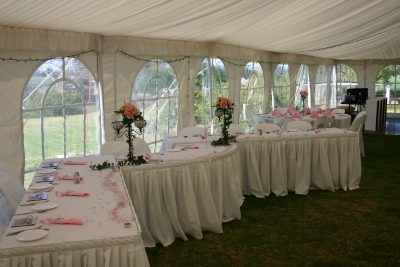 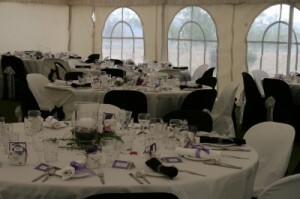 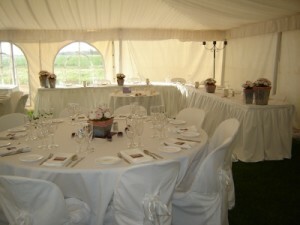 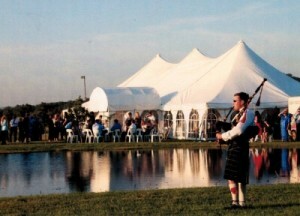 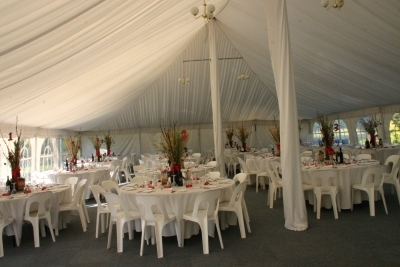 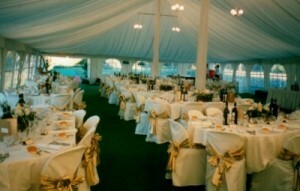 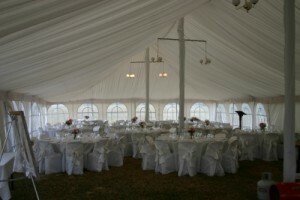 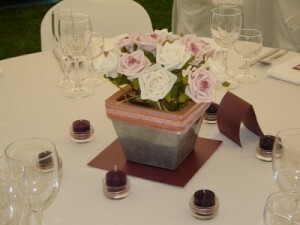 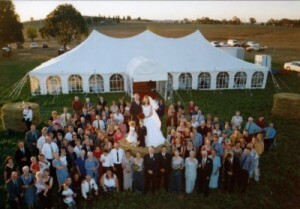 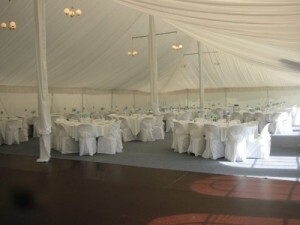 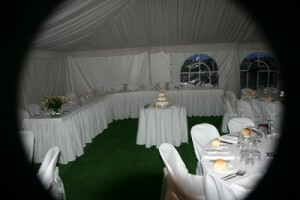 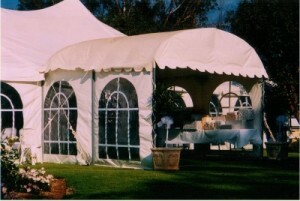 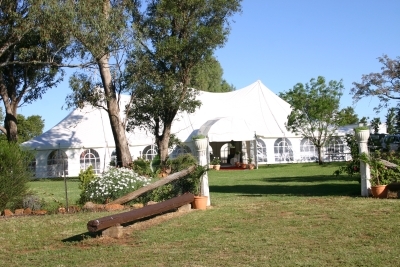 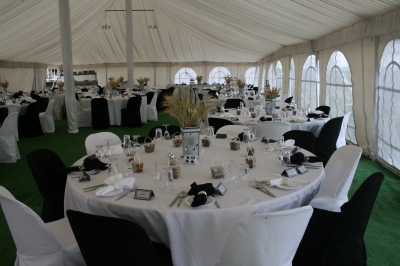 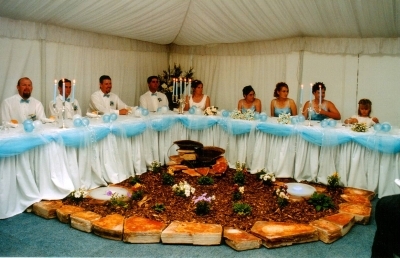 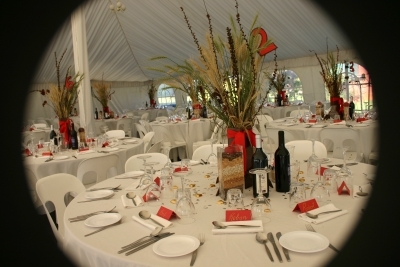 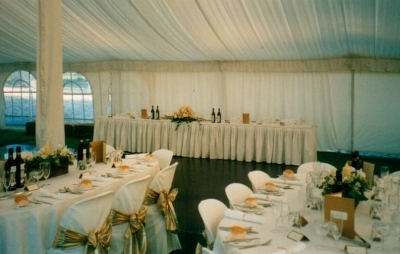 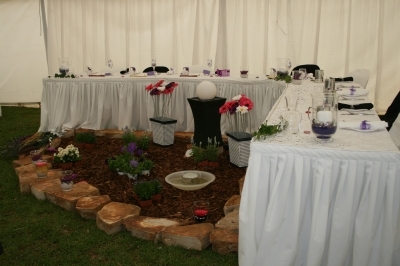 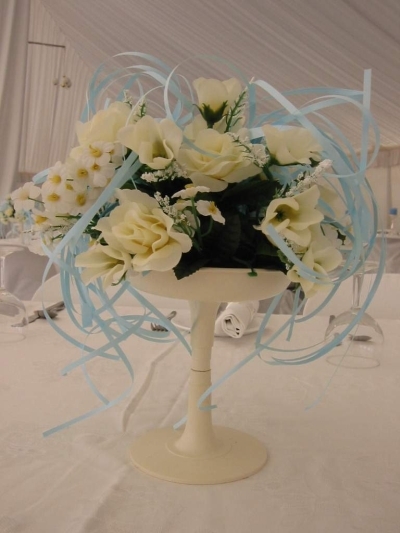 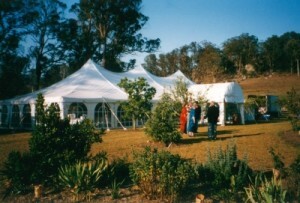 All Wedding Marquee poles (side and centre) are covered in material pole covers or leg drapes. 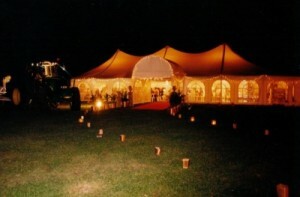 Our marquees can be fitted with rope lights, paper lanterns, pendant style lights or three tiered drop lights. 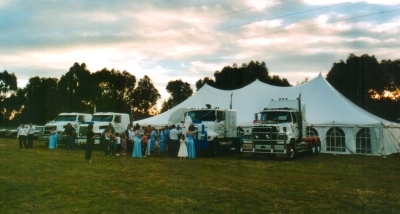 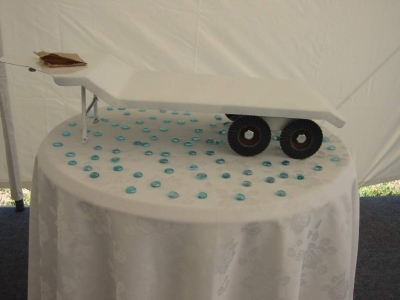 We are frequently adding to our hire stock as well so if there is something you are after, don’t hesitate to ask us.